Don’t give them what they want. 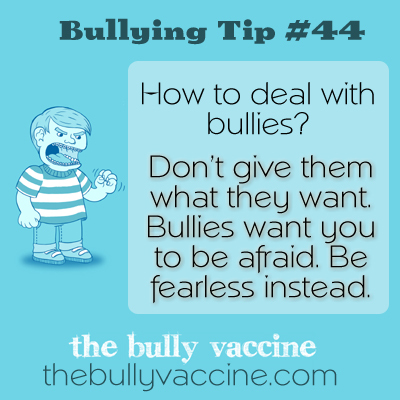 Bullies want you to be afraid. Be fearless instead. In order to overcome bullying, you first need to overcome your fears.